Fantastic. Remodeled from top to bottom. NEW HVAC system. NEW kitchen with extended wood cabinets and Granite counter-tops. New plank style tile flooring in Kitchen, Dining area and 1/2 bath. NEW interior paint throughout. NEW vanity, sink, faucets and mirror in 1/2 bath. NEW carpet in all rooms without tile, including bedrooms and living room. NEW Granite Counter-tops in full bath and Master bedroom dressing area with new sinks and faucets. New Ceiling fans and lighting throughout. New screens for both the private deck off the master bedroom and the screened patio off the living room. NEW Stainless Steel Whirlpool appliances including an over-sized refrigerator with ice/water maker, dishwasher, stove, microwave and garbage disposal. No Flood Plain. All the work is done, waiting on you to move in. 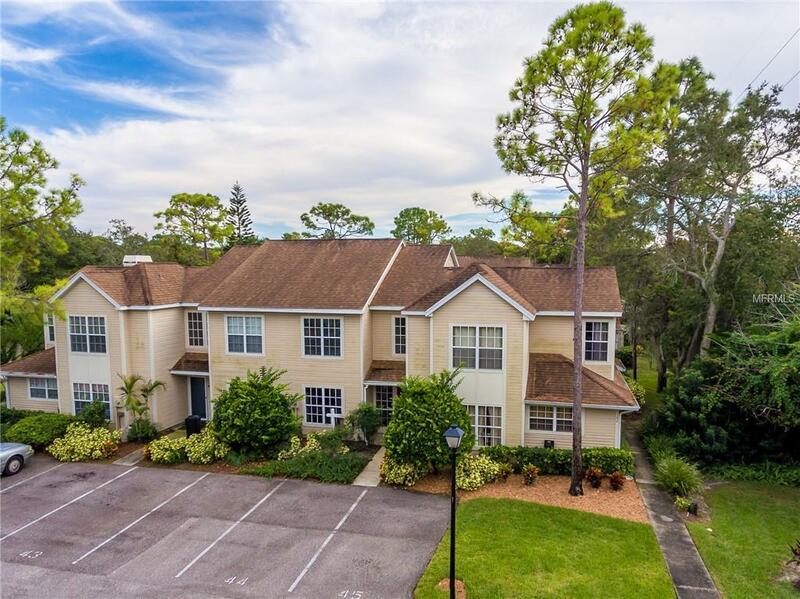 Located at the end of the road with no through traffic, adjacent to Innisbrook. One assigned parking spot and one unassigned parking spot. both located right outside the front door of your home.